It’s no secret that DJ Khaled know’s how to dine like a king. If you ever wondered if you have what it takes to become as successful as DJ Khaled, then your search is over. 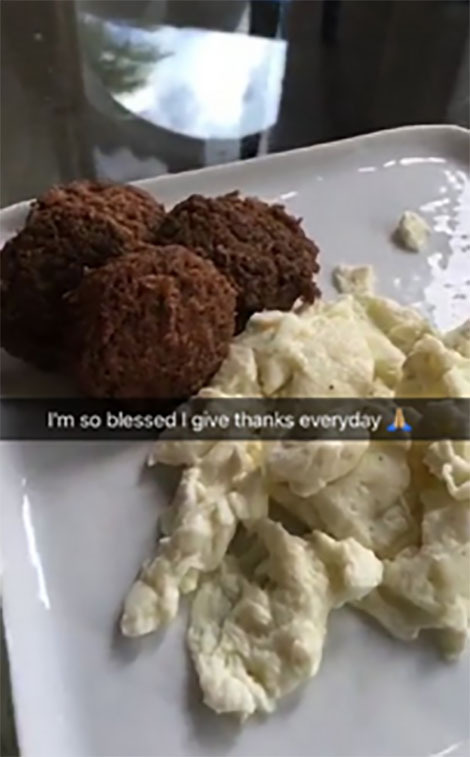 Recently, the We the Best king has been dominating the Snapchat world, giving his fans key insights into his world of luxury, plants, and copious amounts of food. Khaled’s snaps are a treat within themselves; he takes his fans through his daily life and gives incredible pep talks along the way. Adding DJ Khaled on Snapchat means you now have an on-demand motivational speaker in your pocket. keys to success via dj khaled’s snapchat: cocoa butter dove deodorant vitamin c keeping your face clean water apples I see no lies. Why this is a key to success: Starting your day with a well-balanced breakfast is the first key step in having a successful day. Khaled indulges in daily egg whites with turkey sausages (sometimes bacon, too) prepared by his own personal chef. The more protein the better, and the more dough for personal chefs the better. Why this is a key to success: With all that eating, it’s important to stay hydrated. 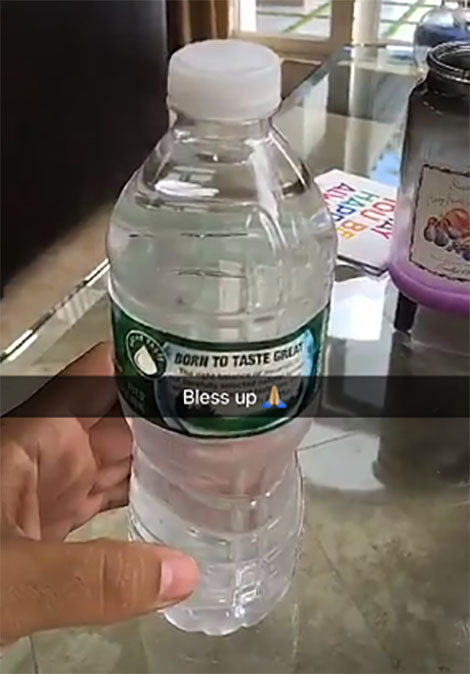 That’s why DJ Khaled takes the time every morning to remind his fans of the importance of drinking a bottle of water with every meal. He is truly looking out for us all. 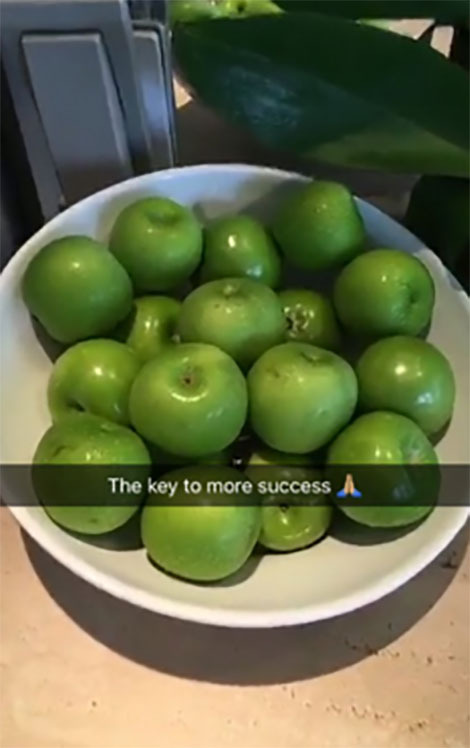 Why this is a key to success: If Rick Ross can contribute his success to fruit, DJ Khaled can too. According to Khaled, a successful life truly does start with a healthy diet (after showering with plenty of Dove soap, of course). 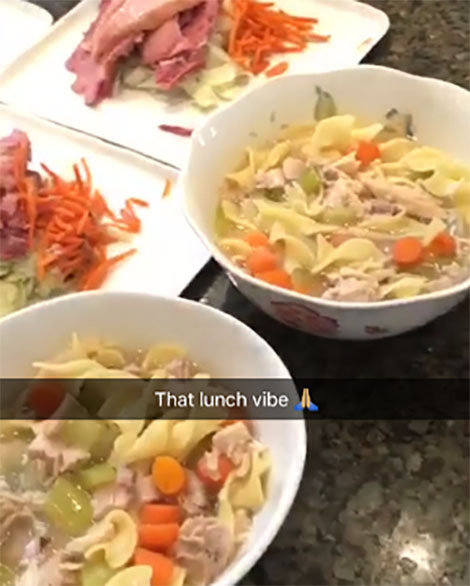 Why this is a key to success: If DJ Khaled’s snaps teach us anything, it’s that he’s a health-food fanatic. Khaled swears by Harmless Harvest’s 100% raw pink coconut water because that special cloth does wonders for your body. He must be onto something, seeing as The Food Lab’s Kenji Lopez-Alt also raves about the drink and its distinct pink color. Why this is a key to success: Staying well-fed is an important aspect of living life like DJ Khaled. Business meetings held at the Khaled household are a three-course event with chicken noodle soup, corned beef, and gluten-free pizza. If you want to be successful, it never hurts to wow your guests with grub. 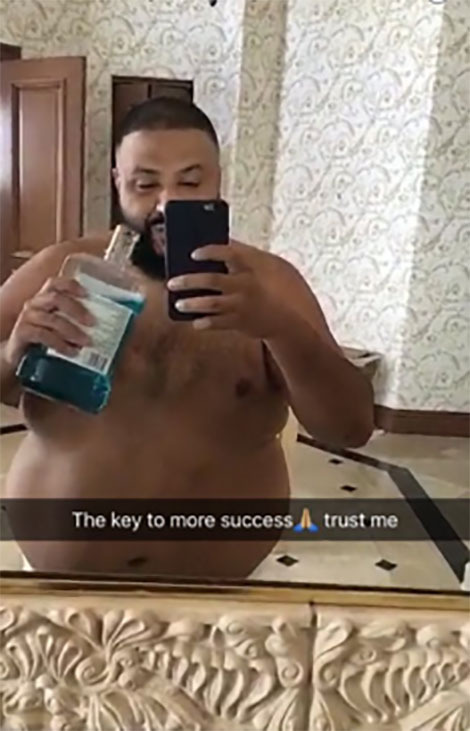 Why this is a key to success: While Listerine may not exactly be a food or beverage, Khaled understands that with all that eating, having fresh breath is extremely important. If you’re on the go, take a travel-sized Listerine bottle to keep the success train going. Trust DJ Khaled. He is, after all, a genius (and he thinks you are, too). DJ Khaled pretty much covers all the bases of success with his snaps—but if you still need some words of encouragement, peep this pep talk to end all pep talks.